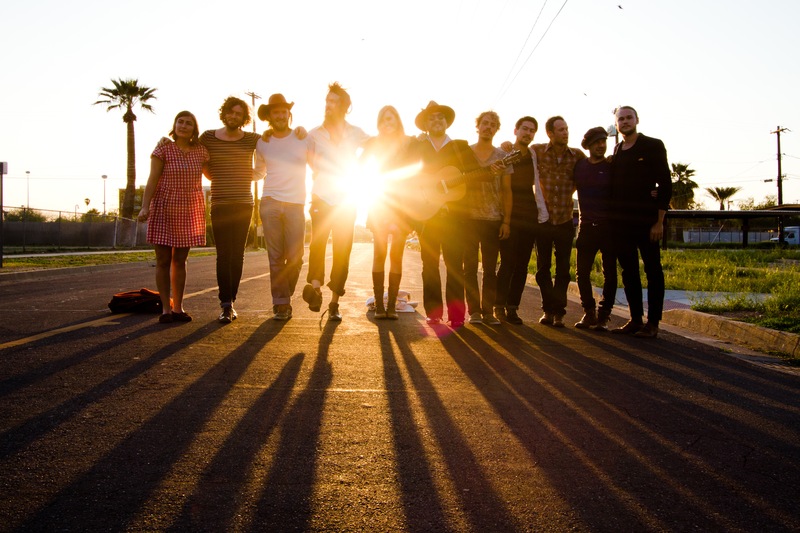 Edward Sharpe and the Magnetic Zeros is headed to Jannus Live in St. Pete Florida on Thursday, September 12th and we were lucky enough to chat with one of its many members, vocalist Jade, about connecting with the audience, bizarre fan interactions and fitting the whole band onstage. What has been one of your most memorable gigs to date? I think we just played one of them at Sasquatch. The crowd was really free-spirited. There were these super cute little kids dancing on the side of the stage, so we gave them some tambourines and they sat in for the last couple of songs. As we were playing, the sun was beginning to set and it was pretty obvious that a day like that would never happen again in quite the same way, which made it all the more special. What is the most bizarre thing a fan has done at a show? Well, one time there was a very intoxicated man who kept making “questionable” hand gestures at Nora and me (and anybody who would look his way). At the time it was a little awkward, but now it’s a pretty funny memory. The band is SO big. Is it hard to fit on stage with your instruments? Is there a special method to it? That works out because of our amazing crew. Everyone in the band has a knack for finding new instruments, especially while touring. Our crew is very gracious in making sure that every instrument has a place onstage . We would be lost without them and our awesome tour manager Sam. How do you connect with your audience when playing a show? I try to remember that most likely there is at least one person in the audience who’s having a hard time. I do my best to sing for whoever that may be. What is your dream gig? Lineup? Venue? Well, since you said dream gig- I’m going to dream big- and say that the venue would be a veeeeeryyyy large riverboat. The best lineup I can think of would have to be The Beatles, Neil Young, Bob Dylan, Rihanna, Beach House, Mumford and Sons, Dawes, and, last but not least, Radiohead!!! I love this band but I feel obligated to point out that Rihanna is a huge TURD in that Musical Punchbowl… She isn’t even a musician. She’s a singer.